We’ve been in Cuenca, Ecuador for two weeks now so we figured it was time to try some local flavor. Our wine was purchased at a local monastery and all we knew about it was that it was white wine made there. Our cheese had a funny story, we were in a restaurant one night and our conversation lead to the fact that we review cheeses, so we were given directions to a local market to buy this cheese. The market was about a 40 minute walk from our place but we were up for an adventure! Once we arrived we did our best to understand that this cheese was called Queso Amasado and that it was made in a village named Tarqui. Now onto the tasting notes. 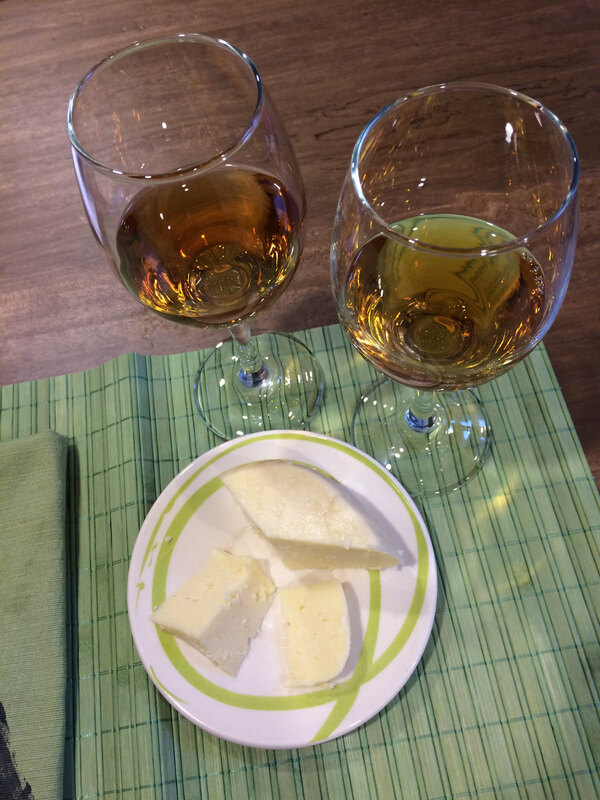 When we poured the Viña Florida into our glasses, we both commented on the color, golden and reminded us of apple juice. As I swirled the wine, it reminded me of a Sauternes from the musky, sweet aroma. This seemed strange since the label said it was a dry wine. The bottle closure was screw top and we wondered if it might have been oxidized after seeing the color. Some other aromas we picked up were burnt sugar, a hint of honey, honeysuckle and butterscotch. We both hesitantly sipped the wine and Neil found it to taste like tart butterscotch and vanilla, until the finish of wet fallen wood in the forest appeared! I thought it tasted like burnt sugar with a dry tart finish, maybe lychee fruit? We really didn’t like it but waited to see what would happen when we paired it with the cheese. Up next was the Queso Amasado. As I sniffed the cheese, I noticed salt, cow’s milk and barnyard aromas. Neil agreed that it smelled like salty milk with a little tiny funk. The texture was a medium hardness but also spongy. Neil said it was wet and crumbly. I was curious if this cheese might melt? When I tasted the cheese it was salty but not nearly as much barnyard flavor and it coated my tongue slightly. Neil could identify salty milk, a little bit of funk and fresh grass. It definitely reminded him of a fresh cheese! We were also surprised by how much flavor it had. This might be Neil’s favorite fresh cheese! And now it was time to pair the Viña Florida with the Queso Amasado. I found the wine to smell a little sweeter, more like candy. 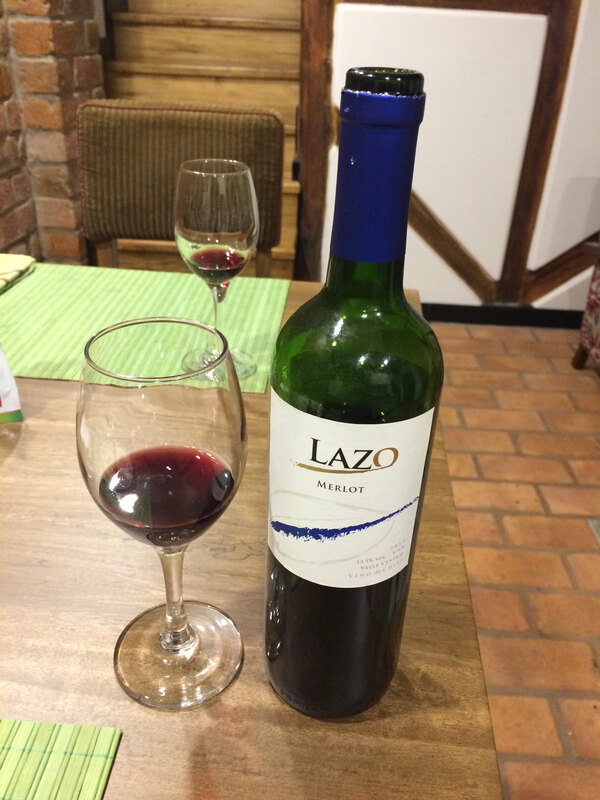 When I tasted the wine it was lighter at first but then it got pretty tangy and almost spicy. The cheese tasted less salty and not as flavorful. Neil found the flavor of the cheese to stay the same but the wine had a strange sweet yeast flavor. So we’d both give this pairing a thumbs down. We are pretty convinced the wine had spoiled and actually dumped the rest of our glasses down the drain. Not really sure what to do with the ¾ bottle we have remaining. After having such a bad wine, Neil went out that same night to find us another wine to make up for it. The one he found was sweet at first too but did have some black pepper appear after about an hour. A good way to redeem the evening! 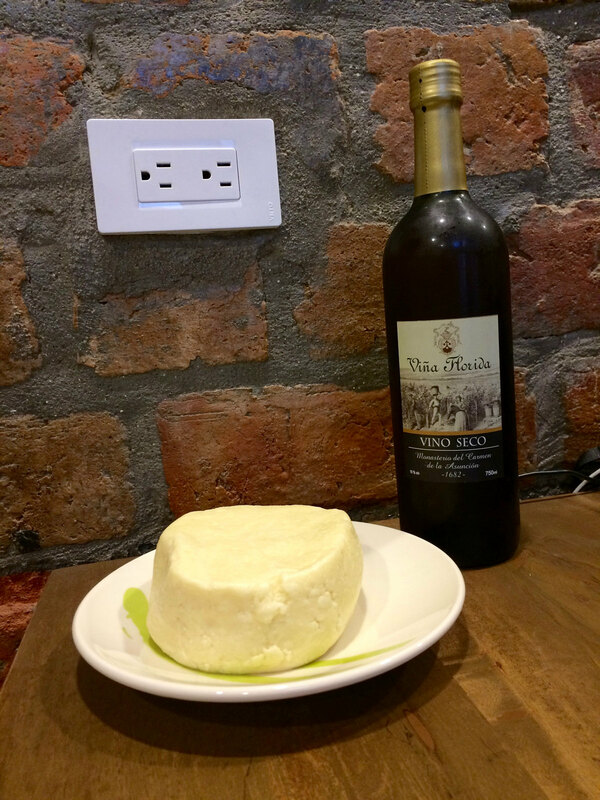 As we were writing up this entry, I looked more into the cheese, http://www.terraecuador.net/allimicuna/30_allimicuna_queso_amasado.htm, and the website suggests trying the cheese with pan integral (a local hearty wheat bread) and coffee. Sounds tasty, we’ll try that next.